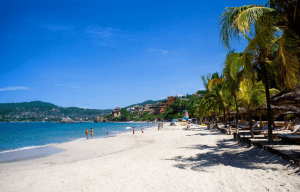 Located on the pacific coast of Mexico in the state of Guerrero, the Zihuatanejo is the place to be for both domestic and international tourists. It is easily accessible from the Ziuatanejo-Ixtapa airport, which also serves the hotels in the area. The airport receives flights from all over the world. The place is easy to navigate by foot once the buses or the taxis drop you from the airport. Attractive places of this area are the sheltered Bahia Zihuatanejo which has safe swimming and a couple of beaches around the bay such as Playa La Ropa which is means beach of clothes named after shipwreck that had Chinese silk and the Playa Las Gatas named after harmless sharks called “she cats” which were known for their whiskers. The community around the place is friendly and the cultures are just amazing. Such include the Friday night basketball games and Sunday celebrations to watch folkloric dancing on the stage. It is a small community but a lovely one to be around. There are loads of things in Zihuatanejo to take home such as Mexican handicraft and swimming wear among other beach accessories. The best dining restaurants offer the best sea meals such as fresh fish. Two restaurants available here are Porto de Mare which offers dinning services only and Fonda Dona Licha that offers breakfast and lunch services. The best bungalows are available for sleeping and having undisturbed rests. The scenic view of the bay and swimming pools makes this place hard to leave. Such hotels include Casa Cuitlateca and Hotel Brisas Del Mar. The other place to be around this area is the Playa Las Gatas, which is reached by open boats. The beach has white sands and plenty of Palpas, which means thatched umbrellas. The places are free to sit so long as one orders drinks and lunch from the owner of the palapa. Just off the boat, dock is a very artificial reef created in pre-Columbian times for snorkelling.